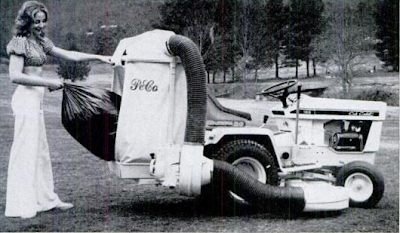 God bless the 1970's. 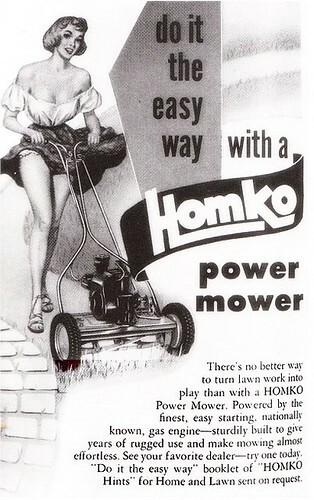 Take a look at lawn equipment advertising today - it'll put you to sleep. 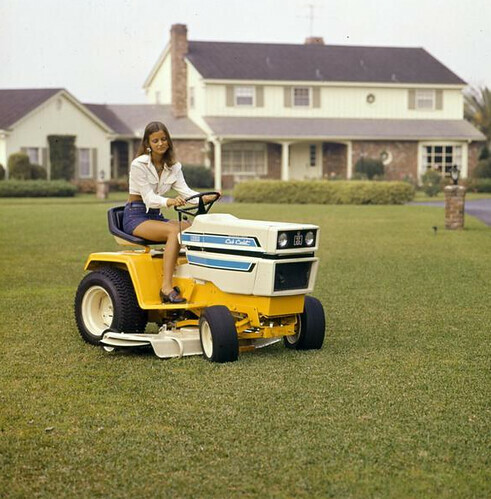 Hormones were running wild in the 70's and the Boomer's were in their prime: thus, even lawn equipment adverts had a little T&A. Okay, maybe I'm exaggerating, but you get my point. 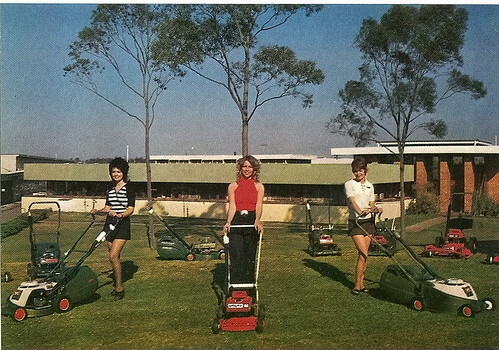 So, before I get on another soapbox, here's a few more Tractor Tramps, Yard Babes, and Mulch Maidens. Enjoy! 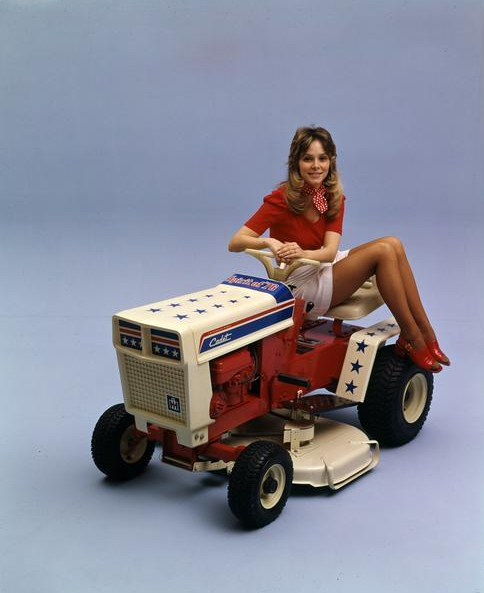 These tractor ads with a babe topper were status symbol ads at some point weren't they? 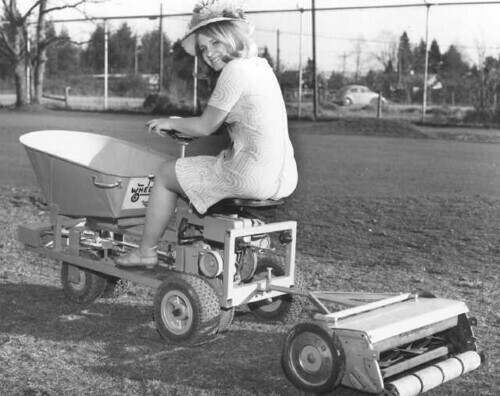 Nowadays, it's not your babe that's gonna tear around the property on that thing, it's your hired help...and your babe will be knocking back cocktails while she supervises/yaps on the cell phone. Holy Jeebus, what is that man wearing? And in the YARD no less! 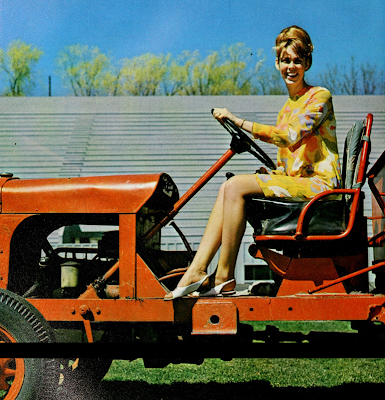 A Nehru tunic? GAH! 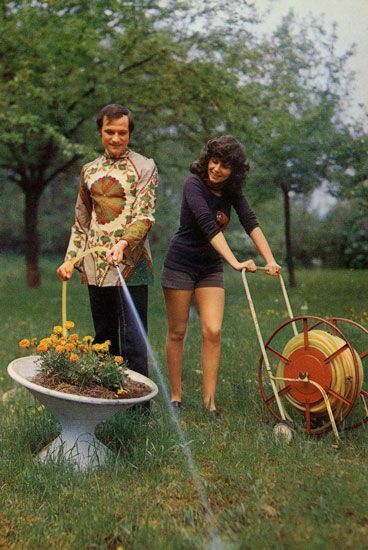 Like Barbara, I too wonder why that man is watering a random patch of grass in front of a rather sad pot of flower in a Nehru jacket with a floral print (at least he kept it in theme!). 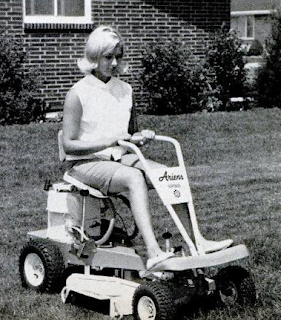 All I can think is "The drugs must have been REALLY good back then." They were, Frank. They were.